Finally — one just for me. And you. And every woman I know. On the day this book arrived in the mail from Apologia Educational Ministries, I was hooked. 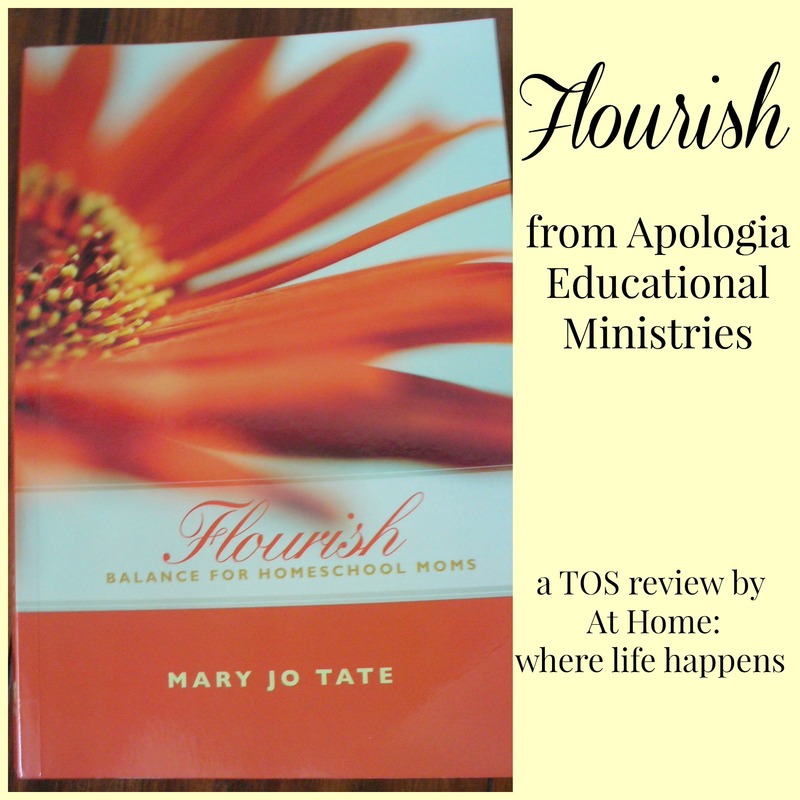 The book, Flourish: Balance for Homeschool Moms, by Mary Jo Tate, spoke energy and renewal into my heart. Mary Jo Tate recognizes the struggles, the lack of confidence, the questioning, the guilt, and the million other things that all women, not just homeschoolers, deal with on a daily basis. She wrote Flourish to help counteract all of that. This book is an encouragement, a tool box, a push from behind where needed, and a breath of fresh air. Flourish is so full of what we need to hear as women straining to honor our God in this world that I think every woman would benefit by reading it. An overarching statement that came up again and again in Flourish is to find peace in the space between the ideal and the reality. This has been a really good concept for me to hold onto. Ideal is what our world seems to hold up as the standard when the reality is where we all live. We try so hard to live up to the ideal but there is no way we can. The reality can be harsh at times. Being at peace with where YOU are between the two is a relief. As you read through Flourish, you need to have a highlighter, pen or pencil, and notebook in hand. Throughout, you will find nuggets of wisdom and suggestions of strategies that you do not want to forget. I sat with my highlighter in hand, cap off because I used it so much, devouring the strategies and encouragement. The first nugget I want to share with you is her definition of the word flourish. The definition of flourish is to grow vigorously, luxuriate, be revived, or abound. This gives great insight into her hopes for the women who read this book and helps set the tone of positivity. Another one that I needed came at the beginning of the second chapter. Ms. Tate is often asked “how do you do it all?” She tells the person “I don’t.” She also redefines “it all” as those things important for her life and her family. The strategies she uses for that fill the rest of the book! Yet another nugget I treasure is the talk about juggling and the struggle it creates. Juggling always ends with a dropped ball. Replace that with the balance of a tightrope walker, frequently making small adjustments to maintain balance, and you have a much more peaceful life. A statement that she made that was helpful was that true balance does not mean that you spend an equal amount of time on each area of your life but that you spend an appropriate amount of time on each area. The Making Memories chapter was a tremendous reminder of the opportunities we have with our children. One statement she made that has stuck with me is that I need to not be so focused on checking off the list or watching the clock that I miss the time with my children that can be spent in discovery and wonder. As I am sitting here going through the book over and over, trying to decide what to share, I find myself struggling. There are so many good bits and pieces throughout this book that I cannot possibly share them all. FREEDOM is an acronym for different strategies to help meeting the responsibilities of life. F is for Focus. R is for Reflect. E is for Educate. E is for Eliminate. D is for Discipline. O is for Organize. M is for Multitask. In the chapter titled “What Do I Do Next?”, Ms. Tate explores planning tools. These cover the Big Dream, Yearly Goals, Monthly Calendar, Weekly Plan, Daily Tasks, Running To-Do List, and the Stop-Doing List. This was one of the most helpful sections (I know I keep saying things like that!). As a mom, I don’t often stop to think of my big dream or goals. This was a good planning session for me. Chapter 7 helps us deal with the distractions and interruptions that inevitably occur in our schedules. A good reminder here was that saying yes to something means you are saying no to everything else at that same time, so we have to evaluate that choice. This chapter includes strategies and suggestions for how to handle phone calls, texting, email and social media, and setting boundaries of time and space. The chapter on training your children was an encouragement to me. Ms. Tate talks about four areas for training children: responsibility, independence, initiative, and service. She gives ideas and suggestions for each area. These are just a few of the many, many strategies and resources you will find in Flourish to help you. So, is Flourish for you? I cannot imagine that it is not. Everyone will find encouragement and helpful tools in this book. You can order the book for $15.00 from Apologia. Visit Apologia’s website to view the first chapter of the book and the table of contents. I hope you will find Flourish: Balance for Homeschool Moms to be an encouragement, whether you homeschool or not. At Home. Mary Jo Tate is the author of Flourish. 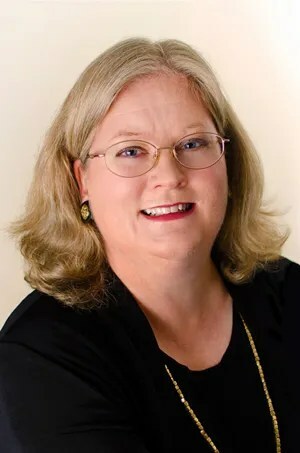 She is a homeschooling mom, an international editor and book coach, and is the author of several books, including How Do You Do It All?, Get Started as a Freelance Editor, and Critical Companion to F. Scott Fitzgerald. You can connect with her on Facebook and Twitter. 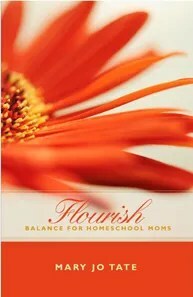 Read more reviews of Flourish: Balance for Homeschool Moms by clicking on the banner below.